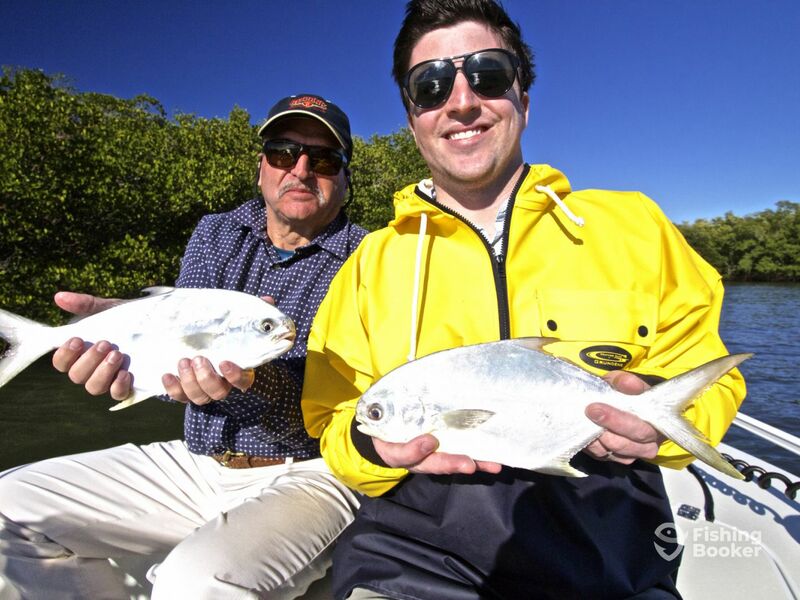 Sanibel and Fort Myers Florida Fishing report for last week in February is mixed with Snook, Redfish, Trout and Pompano. Even though we had a couple of cold fronts attack us from the north, we still managed to get some numbers in different species in the back country around the islands of Sanibel and Captiva in Pine Island Sound. 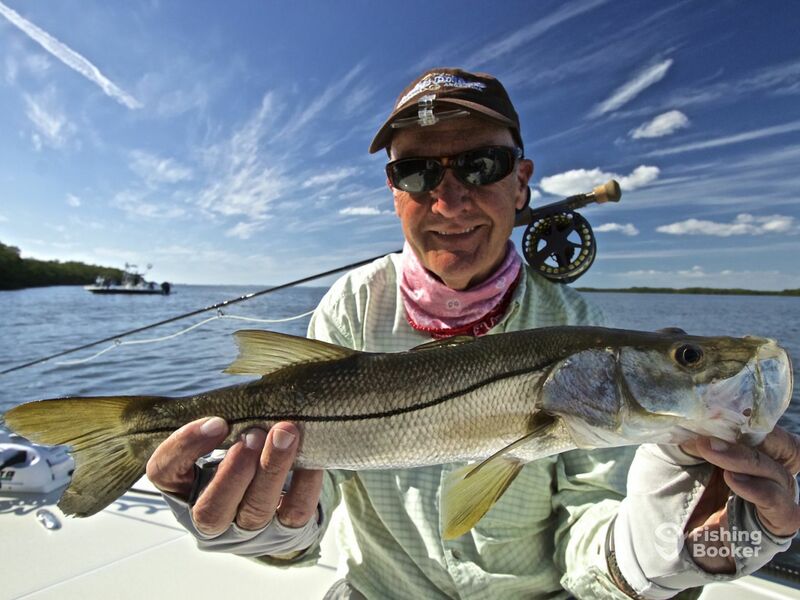 Clousers, EP Everglades Special, and Joe Mahler’s Strawboss were the best flies to target these fish while flyfishing. We use TFO Mangrove series 8 wt rods with Wulff Bermuda Shorts floating line to make the presentation right on target. Lures included DOA Shrimp, and Berkley Gulp Jerk Shad worked best for getting the bait where the fish were holed up (mostly under the mangroves). Both the shrimp and the Shad are perfect for skipping the bait under the hanging limbs to set up the ambush. For bait fishermen, live shrimp are the best bet for the cooler water temps. I like rigging the shrimp weedless so you can use on the open grass flats, around oyster bed or even under the mangroves.